For the maximum burn in the shortest time, we do interval training by incorporating HIlT (high-intensity interval training) HIIT combines intense, high-energy bursts of activity with short periods of lower-energy activity, followed by a cool-down. It's a scientifically proven method that increases your basal metabolic rate known as the 'afterburn effect.' This conditions your body to burn calories AND fat for the 24 hours following the workout. In sports, you're never on your feet at the same time. Our 3-dimensional training makes you balance, jump, sprint, push, pull, rotate, move laterally side-to-side, and simultaneously engage all your core muscles. Our studio emphasizes compound exercising using weights, kettlebells, battle ropes, resistance bands and other training equipment. Compound exercises activate multiple muscle groups, reshaping your composition and giving you that toned, sculpted body. 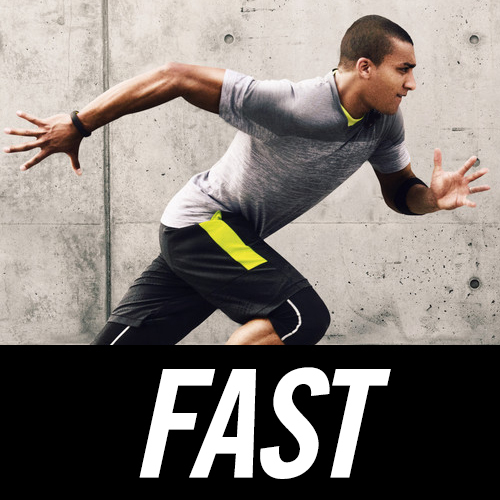 The Fast Lean Fit™ method is a full-body, functional workout based on a sport-specific training approach. We design our sequences the right way to give you the best workout. These sequences help improve movement & stability, strength & endurance, and flexibility & balance. Rules on how to train well and properly makes all the difference. Our corrective exercises realigns your posture and prevent you from injury and wasting time on ineffective workouts. Without a doubt, consistent training is the most important aspect of fitness success and forward progress. At Fast Lean Fit™, our trainers are the experts in holding you accountable. We will push and challenge you every time you show up. Train like a pro. Our trainers have worked from new beginners to professional athletes to top celebrities. We focus on workouts that has the proper mix of stress and recovery and ensures the right type of training occurs at the right time. Safe training is our highest priority. Our certified FLF trainers have extensive knowledge on proper form and technique that avoid injury. This will develop better running form, improve your posture, and increase your strength. * Golf, Tennis, Running, Track & Field, Football, Soccer, Basketball, Baseball, Volleyball, Yoga, MMA, etc. We're confident that we will deliver unrivaled fitness results through our service. Make an appointment and schedule your first free consultation and body assessment to get started.